Police are investigating a report of dangerous driving during an incident close to the War Memorial in Waringstown, near Lurgan, on Sunday as a Remembrance Service took place. A spokesman said: “Police received a report of a car driving dangerously at the Banbridge Road area of Waringstown on Sunday, November 11. “There were no reports of any injuries and enquiries are continuing. Ulster Unionist MLA Doug Beattie expressed his ‘genuine disappointment’ at the behaviour of some motorists at the memorial service in the village. Mr Beattie said: “As the nation stood in solemn silence in order to pay their respects on the 100th anniversary of the end of WWI some motorists took to the footpath to push their way through those gathered. “One lorry driver had to be asked to turn off the engine of his vehicle as it disrupted the service. 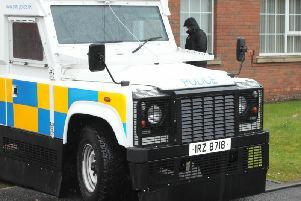 “We have raised concerns with the local PSNI.